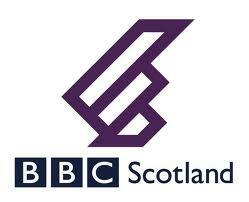 ← Legal Update re Rangers, Craig Whyte and the BBC – Will There Be Attempts To Stop Broadcast? Yesterday, as announced by the Rangers Supporters Trust (RST), their representatives met with Craig Whyte, the Rangers Chairman. The RST promised that the minutes of the meeting would be made public. There was some scepticism expressed as to whether or not this would take place before the BBC Inside Story documentary tonight, or in advance of the preliminary hearing in the Bain v Rangers case scheduled for the Court of Session tomorrow. However, the RST was true to its word, and the Minutes were put online this morning. I thought it might be useful to look at any legal implications of what was recorded as taking place at the meeting. My thoughts are in the paragraphs under each italicised section. I have only included the sections where I think there are issues covered which are connected with the legal matters I have been writing about. Questions arising from the Minutes are in bold. FAN REPRESENTATION – As fans are the major investors in RFC the Trust favours looking at mechanisms to give them a real say in the affairs of the club. Chairman is very open to such moves but stressed the club finances are very much subject to the result of the tax case. As Mr Whyte’s company (“Group”) controls 85% of the shares in the Club, it is very polite of him to refer to the fans as “major investors”. Perhaps he means that they, by buying tickets, merchandise and food and drink, make a major contribution to the coffers? It is right that fans, or at least organisations representing them, should have some role in the affairs of the team, and if Rangers make substantial progress here, then it would undoubtedly be a good thing. Mr Whyte did acknowledge the fact that the Club finances are subject to the outcome of the tax case, by which he means what is known as the “Big” Tax Case. ADMINISTRATION OF THE CLUB – The Chairman is 100% committed to protecting the rights of small shareholders in the event of the club going into administration. He does not consider that insolvency is inevitable, but in any case it will be manageable. He stated “as a Rangers fan it would be as uncomfortable and unpleasant” for him as for everyone else but he was confident we would see it through. There is no doubt the club would continue. Here we have a formal recognition that the team faces an “Insolvency Event” as described in the SPL rules. This is the first piece of concrete information in the minutes, from the legal perspective. Let’s look at what Mr Whyte is saying. Sadly there is not a lot of meat on the bones of what he says, although his STV interview tonight, or the BBC documentary, might help answer the further matters raised. He is 100% committed to protecting the rights of small shareholders in the event that the club goes into administration. The Rangers Tax Case Blog has analysed this issue at length. Put shortly, if Rangers go into administration, then, to re-emerge as the same company, they would either need the creditors to agree to a CVA paying them reduced sums, or an investor would be found willing to pay enough to the administrator to allow him to fund a CVA acceptable to HMRC. In view of the sums alleged to be due to HMRC, it seems unlikely that sufficient would be raised by the latter method to achieve that goal. In any event, if the Club goes into administration, the owners lose the value of their shares (unless there was enough to pay off all the creditors in full, with a surplus left over). The Independent Board Committee who reviewed matters before the takeover commented “that the IBC is concerned about a lack of clarity on how future cash requirements would be met, particularly any liability arising from the outstanding HMRC case”. They had concerns about the minority shareholders’ position. Is Mr Whyte undertaking that Group will pay the minority shareholders a payment equivalent to the value of their worthless shares, or that Group would allot shares, without payment, to the old shareholders? Either way, this seems very generous. But what does he mean by the “rights” being protected? Perhaps someone will ask him. It is good that he does not consider insolvency inevitable. If he did that would almost be an admission of wrongful trading, with the consequences that flow from that. It is very interesting that he considers administration to be “manageable” and that it would be “uncomfortable and unpleasant”. He is sure that “the Club” would continue. Again, this needs clarification. It could be interpreted that he is ruling out a newco taking over, and a pledge that the existing company will remain to come back out of administration. How does he view this process as manageable, and what discomfort and unpleasantness does he foresee? What is his plan? INWARD INVESTMENT – The Chairman reiterated that he will underwrite the investment of £20m by 2016 – however, he is open to other investment from other major investors and the fans. Mr Whyte’s Group issued a Circular to shareholders when he took over. This listed the undertakings he made as part of that takeover, including as regards investment. The £20 million to be invested or procured by 2016 is stated in the Circular to be for investment in the playing squad. In addition £5 million was pledged by Group, not being monies procured by them, as investment to improve the playing staff, though no time limit was attached to that. Is it significant that the Minutes do not repeat that, and merely refer to “investment”? RESIGNATIONS OF DIRECTORS – The Chairman stated he considered he got on well with both John Greig and John McClelland and he first heard of their resignations when they were reported in the media. He felt that he had not excluded them from decision-making. If the Club has not had a Board meeting since the takeover, as stated by Douglas Fraser of BBC Scotland, in what way were Messrs McClelland and Greig kept “in the loop”? If, as has been rumoured, Mr McClelland intends to take court action in connection with his tenure as Director, or more correctly the end thereof, might Mr Whyte regret this public statement about how involved the now departed Directors were kept? BBC PROGRAMME – The Chairman considered that allegations put to him so far by the BBC were unfounded and unfair. He is not aware of all of the content of the programme but after viewing he will respond accordingly. He views the BBC Investigates programme as part of a pattern of behaviour on behalf of the BBC towards Rangers FC and Rangers fans. He’s astonished that the BBC would produce a programme largely based on internet chitchat and bloggers. It is interesting that he can form a view about a programme prior to broadcast, and one assumes he feels he was not given a proper chance to defend himself, thus his appearance on STV. It is of note that the Minute does not repeat the allegation of “prejudiced muck raking” as per the Rangers official website. Is he retreating form what did not seem a statement designed to calm things down, indeed quire the reverse! It is also interesting that he refers to “internet chitchat and bloggers”. One can hear the contempt! But that does not mean that these sources are automatically wrong. Indeed the mainstream media has been far behind bloggers/writers such as RTC and Phil Mac Ghiolla Bhain in shining light on this story. The BBC can produce a story base on whatever sources it wants, and I assume they are happy their story stands up. MEDIA HANDLING – The Chairman spends more time than he would like defending the club’s reputation but regards it as a very necessary part of his role as it has such a negative effect on the club. He engages with PR advisors, Mediahouse, regularly. He’s very ready to defend both the club and fans from scurrilous attacks. On his past performances, it might be better if Mr Whyte kept his head down, and left the media coverage to the professionals! What “scurrilous attacks” does Mr Whyte consider the Club and fans have been subject to? What has he done specifically through his PR advisors to address these? FINANCE – The Chairman regards it as necessary to pursue a twin-track approach in the current climate with both cost cutting and income generation being the keys to financial health. He used the example of Manchester United operations base in London where they engage with major corporations to exploit commercial value. He is actively seeking to establish an office for Rangers in the city of London – he regards the club as a big one and thinks it’s time we started acting in a manner befitting one. He also believes Rangers has vast untapped potential. The plan to reduce cost and increase income is a simple one. How it is done is the problem. How does he think Rangers will benefit from a London office? Perhaps it can rent space from Collyer Bristow – after all one of their partners is a director of Group! What are his plans for cost cutting and income generation? In view of Rangers recent poor history as regards fans’ behaviour, or at least public perceptions thereof, how does he see big corporations as being willing to engage? FREEZING OF CASH DUE TO LEGAL PROCEEDINGS – The Chairman conceded this makes life difficult with regard to cash-flow but it will not affect the club’s ability to, for instance, make signings in the January window. This suggests that (a) the Club has a lot of money in the bank; (b) Group is ready to put in substantial sums of working capital, as pledged in the Circular; (c) players will be sold in January or (d) the plans for signing are very modest. What are Rangers’ transfer plans for January? THE TAX CASE – The Chairman expects the case to come to a head before Christmas but any outcome would still be subject to appeal. That seems to be an implied admission that they will lose! However, the mention of appeals makes it clear that the hearing in November will not be an end of the matter and that an appeal to the Upper Tribunal, with all the consequent delay, is certain. 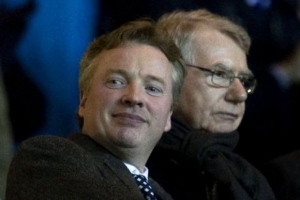 Why did Mr Whyte not repeat his previous opinion that the Club would succeed at the appeal? LEARNING FROM OTHER CLUBS – The Chairman hopes to visit Hamburg and see for himself how a large fan-owned club like HSV operates. He also believes that the membership system of Portuguese clubs could be worth exploring and which parts of them might be applicable to Scotland. Is the suggestion of a “fan owned” club Mr Whyte’s ultimate aim – namely to keep the Club afloat and then have an enormous share issue to get him his investment back, and turn him his profit? There are lots of questions arising from the Minutes. There are few specific hostages to fortune, but the acknowledgement that administration is a possibility, and indeed the fact that “he does not consider that insolvency is inevitable” suggests that insolvency is more likely than not, might be held against him in the ongoing court proceedings. Might this public acknowledgement, whilst perhaps being good PR in preparing the supporters for the problems ahead, in fact backfire by prompting other creditors to take action? We await this evening’s further developments with interest. I also wonder what the SPL/ SFA/ UEFAs take will be in regard to member rules? I suspect Uefa etc not too bothered about what the individual associations do, unless it compromises them in some way. 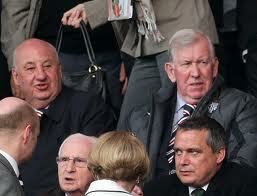 Therefore if the SPL voted to let a Rangers newco in, I don’t see any of the wider football bodies objecting. However, I do see a possible legal challenge from any Scottish team which felt disadvantaged by a newco Rangers leaping straight to the SPL. As far as insolvency goes, whilst the whole EBT tax bill is under appeal, the Club can legitimately claim to be solvent, but the minute it is decided (and they will not get away scot-free) they wopuld be technically insolvent. It’s just the fact of the appeal and the lack of compulsion to make a provision for the bill which maintains paper solvency just now. Clearly concerns about wrongful trading must have been about there for some time. many thanks Paul. Keep up the good work. Very interesting! And thus good for bloggers! Two points here. Firstly, the phrasing is slippery but it doesn’t imply that Whyte is conceding that Rangers will lose. “ANY outcome” includes one which doesn’t please the Taxman. HMRC will certainly appeal if they are not satisfied with the findings of the FTT. Secondly, and more importantly, Rangers also have the right to appeal if they lose heavily. But it is my understanding that they must pay their outstanding taxes more or less as soon as the FTT gives its ruling. At that point, the assessment “crystallises” and becomes due for payment immediately. The FTT hearing is already Rangers’ appeal against HMRC’s assessment and the demand for payment has been put on hold during this process. If Rangers want to appeal against the appeal court’s verdict, I believe they can only do so in order to claim back the tax which they have finally forwarded to the Treasury. If the FTT rules that the monies due are somewhere upwards of forty million pounds, there isn’t a chance that Rangers will be able to pony up. Consequently, there isn’t a chance that they will be in a position to appeal. Could you confirm that the Second Appeal can only follow once the crystallised bill has been settled in full? 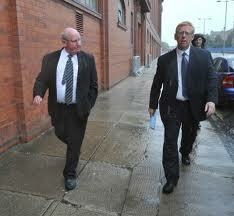 The only way that there will be an appeal is if the Taxman wants substantially more than the FTT decide Rangers owe. In that case, Whyte’s words would actually have been plausible for once. I think the position is that, if the FTT finds against Rangers, then they, as the taxpayer, would be expected to pay the disputed sums before proceeding with their appeal to the Upper tribunal. However, it is possible to ask the Tribunal to postpone paymsnt, especially where there is a clealry arguable point at issue in any appeal. As you say Mr Whyte’s suggestions that they want the case finished quickly and that they might not appeal sem odd, but of course if the plan is to get his money out first under the receivership scheme, the outcome becomes less important. Here’s another thought – as I understand it, the outstanding arrestment orders can only be served once. If Martin Bain, for example, turns up with his warrant on a day when the Rangers a/c is only in credit to the tune of half-a-crown, then that’s all he’ll be able to arrest. In that event, unless he came back with a new arrestment order after another court hearing, he wouldn’t be able to ring-fence his potential winnings. Might Whyte be setting a sneaky trap here by hinting that there is currently plenty of cash in the account in the hope that the warrants will be wasted when it emerges that the money simply isn’t there? As far as I am aware, both the HMRC and the Bain arrestments were successful in catching the substantial sums that they were each looking for. If he is playing “rope-a-dope” by willing them to hit him with an arrestment, that could have the result, in light of the rest of the situation, of provoking more creditors into court actions!